What do Otto von Habsburg, Richard Nixon, Yehudi Menuhin, Andrew Lloyd Webber, Vilmos Zsigmond and Maximillian Shell have in common? 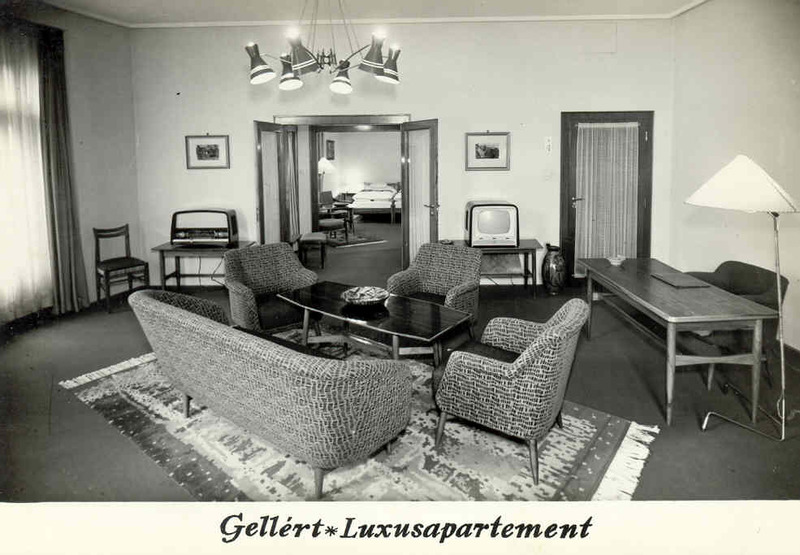 They all have a suite named after them in the Danubius Hotel Gellért, and stayed there many times. 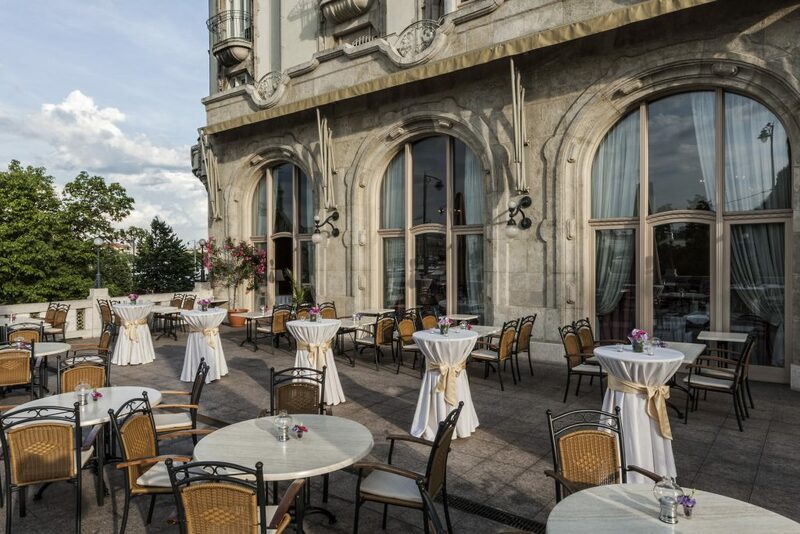 This September marked the centenary of one of the most beautiful hotels in Budapest. 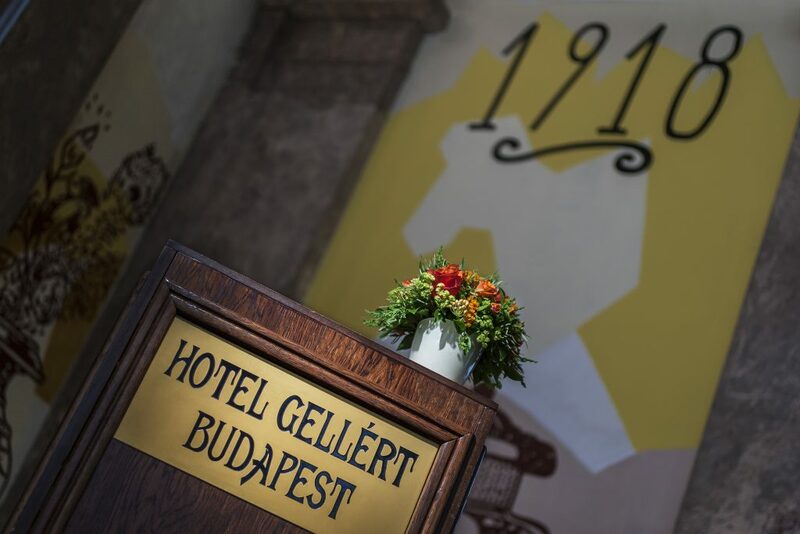 A whole host of monarchs, religious leaders, international politicians, prominent statesmen, renowned scientists and world-famous artists were frequent guests at the Gellért Hotel, which celebrates its 100th anniversary this year. Built in the elegant, Art Nouveau style typical of the grand hotels of the early twentieth century, the Gellért remains one of the most spectacular buildings in Hungary’s capital today, and is among the most visited hotels in Budapest. 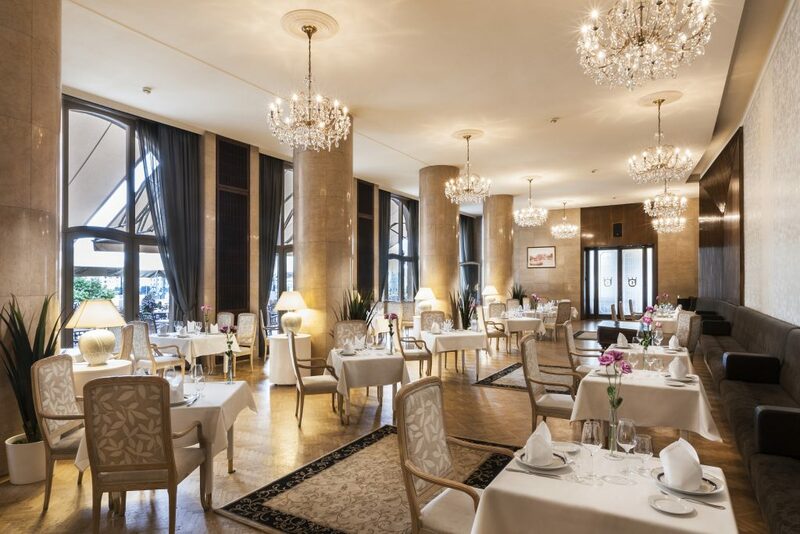 One of its many attractions is its opulent, 20th-century ambience that has survived the ravages of history and witnessed the intellectual advances of the era spanning a broad arc from the last Habsburg ruler to the Oscar-winning Vilmos Zsigmond. It was on 24 November 1918, on the feast day of Saint Gerard (Szent Gellért in Hungarian – hence the name), that the Gellért Hotel first opened to the public. Barely a month had passed before it got caught up in the events of history, as in October 1918 it was requisitioned for military purposes during the “Aster Revolution”, and later served as the headquarters of the Regent Miklós Horthy after the fall of the Hungarian Soviet Republic. 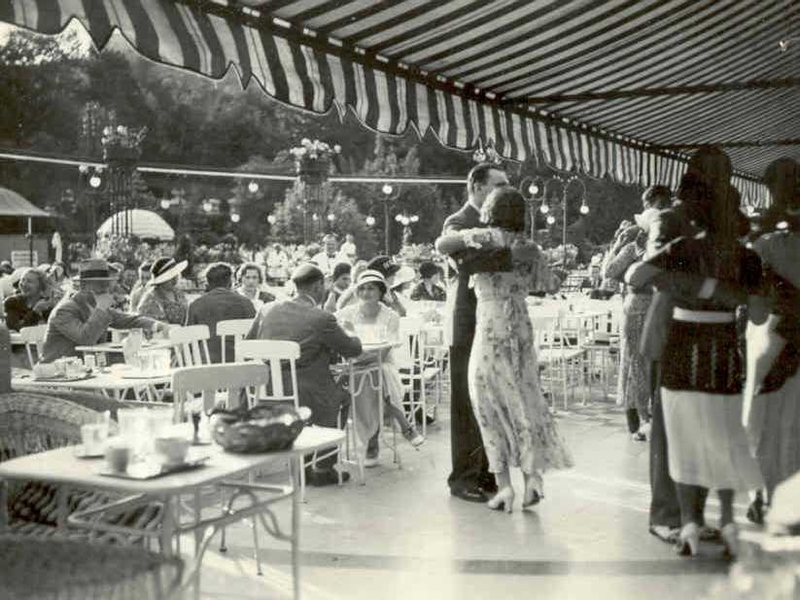 After the First World War, however, its original function was restored and it became a hub of the capital’s social scene with its sumptuous interior spaces and the stunning views from its terraces. It was also during this period that the hotel became known for its excellent cuisine. Its restaurants were rented out to acclaimed restaurateurs from the city from the very beginning, but from 1927 the concession was awarded to none other than Károly Gundel. It was due in no small measure to his work over a period of twenty years that the Gellért Hotel was elevated to the ranks of the world’s grand hotels, and its prestigious events were reported in newspapers all around Europe. As recorded in the official history of the hotel, it was in the Gellért that Károly Gundel invented three of his most famous dishes: Zander à la Rothermere, Bakony Gomba and Pittsburg Veal Rib. 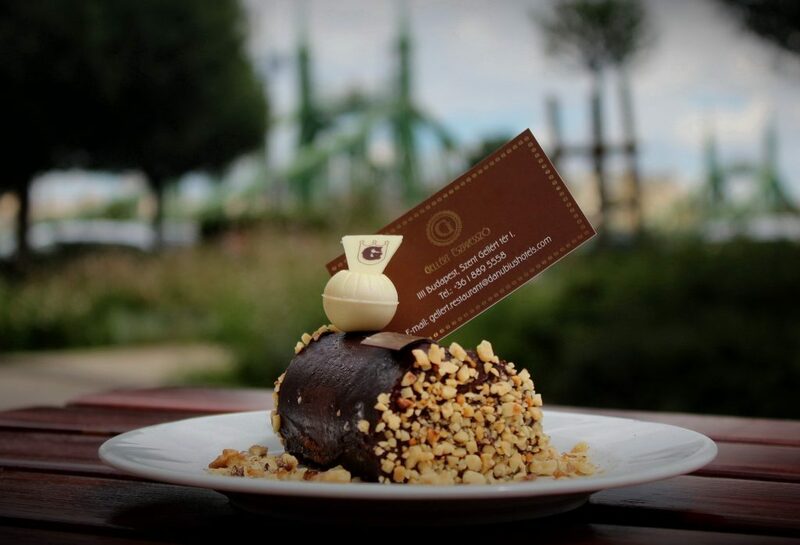 And while we’re on the subject of gastronomy, the Gellért is also famous for two desserts: one is Posztobányi Pudding (Gellért Pudding), which is made with dried fruits marinated in alcohol, and the other is the Gellért Roll, which comes stuffed with chocolate cream and rum-soaked sour cherries. 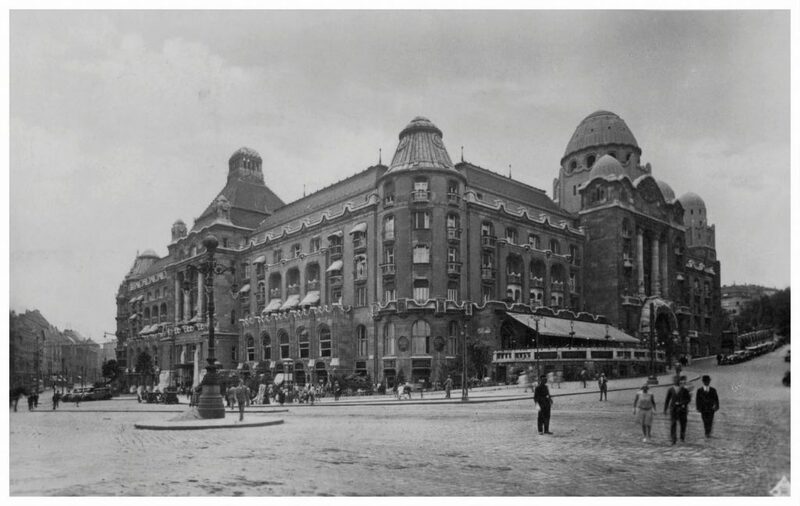 “When the Gellért Hotel was built – in 1918 – in addition to the upmarket restaurants, a simpler eatery was also planned, to serve day-trippers in the summer and local residents during the winter. The establishment, housed in the corner of the building closest to Gellért Hill – with its own entrance – was cheaper than the elegant upstairs halls and salons, and it offered much plainer fare. The quality of the food, however, must have been the same, as it did not yet have its own kitchen. The waiters brought everything down from the kitchen upstairs. 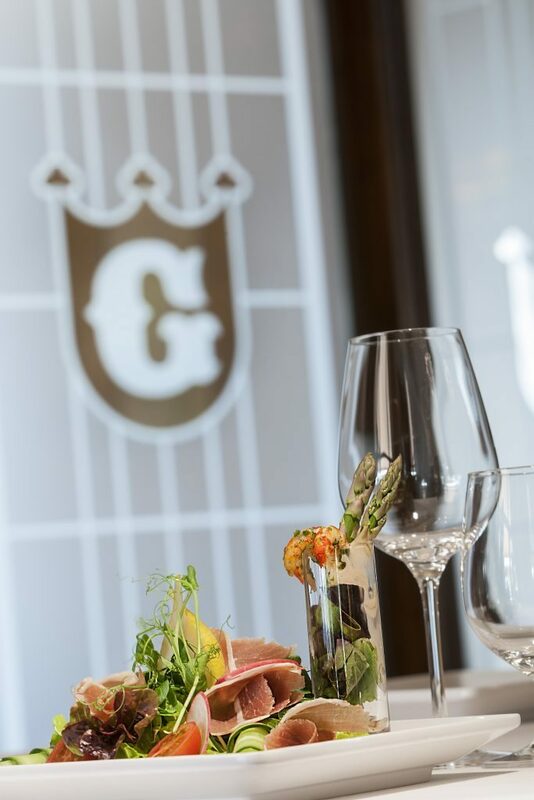 This meant that the hotel’s chefs prepared the orders using the same ingredients as for the other dishes, and in the same quality”, according to the official history of the Gellért. Károly Gundel developed the public bar into a popular restaurant aimed at the middle classes, opening up its terrace in front of the building. The Gellért takes the credit for many important hospitality-industry innovations. It was the first establishment in the country where guests could pay in their own national currency, and where the first airport transfer car went into service; and it was also here that the first mini bars were installed in the rooms. The Gellért Hotel Bar and Restaurant was the first to use ‘plate service’ as the means of serving food to customers. But what better sign of a hotel’s popularity could there be than its hall of fame? 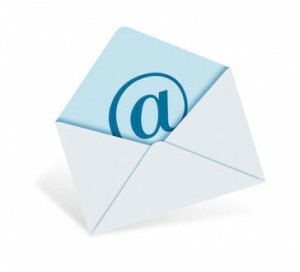 Since its establishment, the Gellért has seen a stream of well-known guests, including – in addition to those already mentioned – Austrian chancellor Bruno Kreisky, the Nepalese king Reza Pahlavi sah, the Dalai Lama, Antony Quinn, Kirk Douglas, Marina Vladi, Jane Fonda, Pablo Casals, Igor and David Ojsztrah, Arthur Rubinstein, and the list goes on. Two outstanding Hungarian actors, Ida Turay and Antal Páger, lived in the hotel for months, and their memory is honoured by the suites that have been named after them. As a gesture of appreciation, the Gellért has also named rooms after its past and present regular guests Otto Habsburg, Richard Nixon, Yehudi Menuhin, Maximilian Shell, Andrew-Lloyd Webber and Vilmos Zsigmond. To this day, the hotel remains faithful to the catering traditions inherited from the master himself, Károly Gundel. 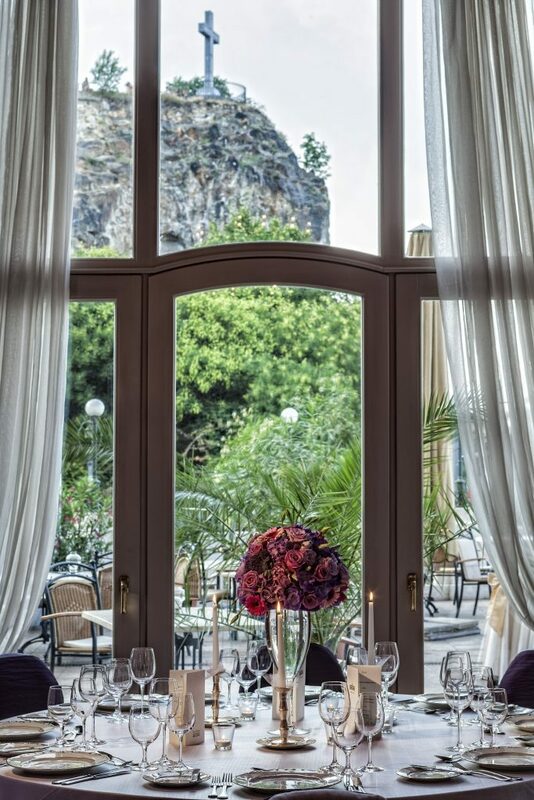 The hotel’s Panorama Restaurant offers excellent cuisine to match the fantastic view over the city. 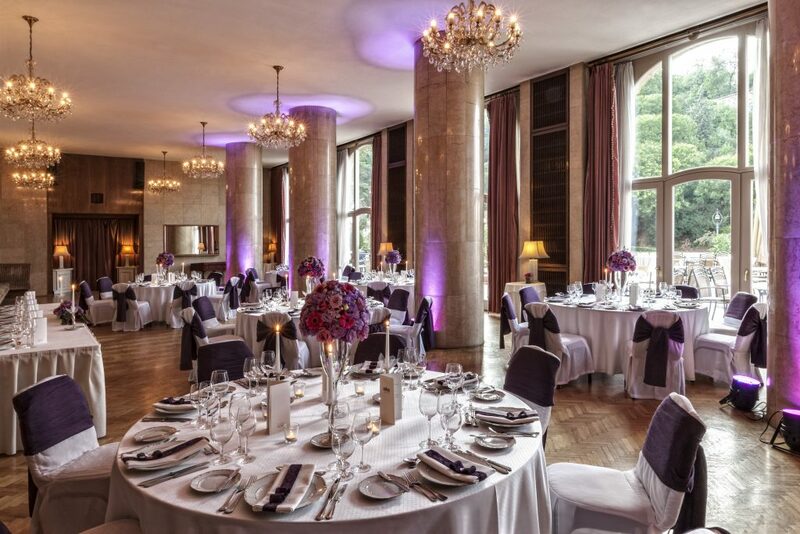 The Sunday family lunches put on by the Gellért’s executive chef are popular social occasions. The craft beers and seasonal dishes on offer at the Gellért Pub & Brasserie are served up by a young and creative team. 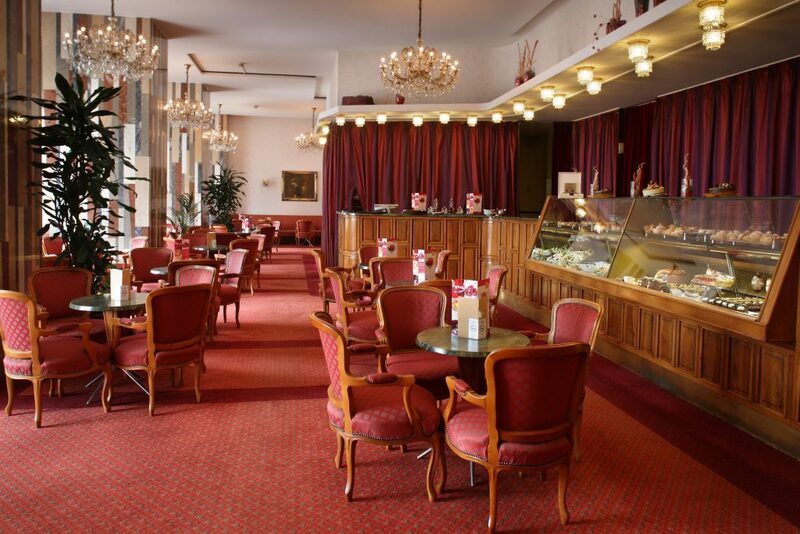 The Gellért Café, meanwhile, offers a tempting selection of coffee specialities, home-made pastries and cakes in a nostalgic setting to the accompaniment of live piano music. Naturally, the legendary Gellért Baths (which is one of the best thermal baths in Budapest) are also a major attraction for guests. The spa, swimming pool and medical facilities are operated by Budapest Gyógyfürdői és Hévizei Zrt., but guests have discounted access to the medicinal thermal spa and covered swimming pool, the open-air wave pool and sun terrace during their stay at the hotel. 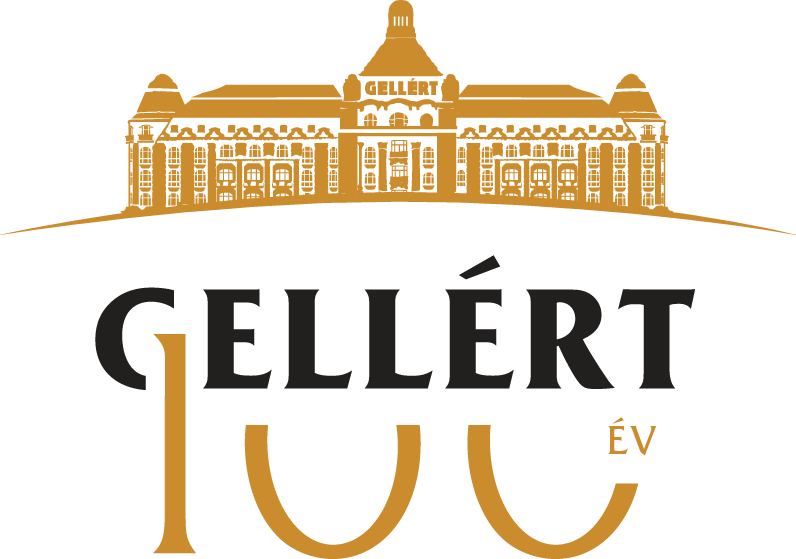 The Hotel Gellért provides its guests with a 50% discount off the price of entry to the Gellért Baths. Danubius Hotel Gellért is one of the oldest hotels in Budapest. 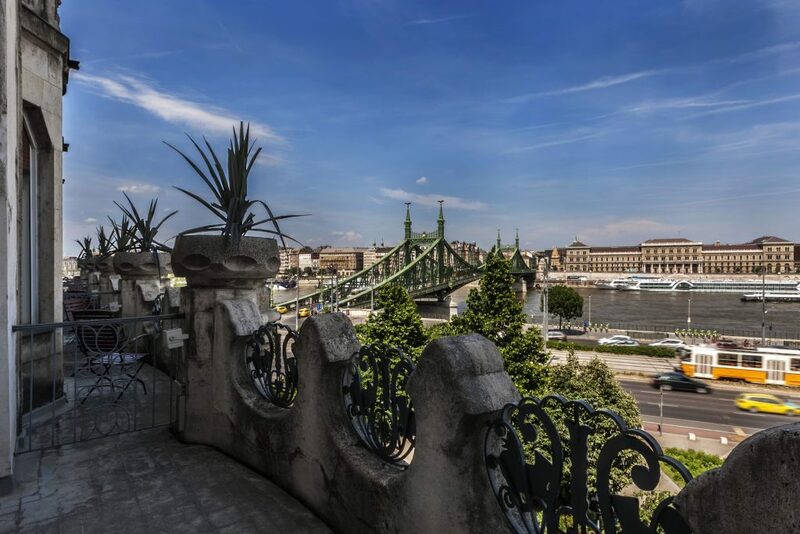 The hotel’s location is particularly good, as it stands in a picturesque setting at the foot of Gellért Hill overlooking the River Danube. 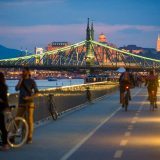 It’s easily accessible, with only a bridge – Szabadság Híd, one of the capital city’s most beautiful bridges – separating it from the city centre. Encyclopedias, travel guides, history and prayer books all mention the name of the Venetian Benedictine who lived at the turn of the 10th and 11th centuries, and was martyred in 1046. It is after him that both Gellért Hill and the Gellért Hotel are named. His memory is also preserved by the statue that has towered above the waterfall, facing the foot of Elisabeth Bridge, since 1904. Gerard was born into a wealthy family in Venice, Italy, some time around the year 980. The Benedictine monk became well-versed in the sciences of the day. According to some sources, Gerard was on his way to the Holy Land, but Providence brought him to Hungary at the invitation of a Hungarian Benedictine monk. Other sources have it that he travelled to Hungary to win over souls at the request of King Stephen. Later, he became the tutor of King Stephen’s son, Emeric. Then from 1030, as the Bishop of Csanád, he founded the diocese and monastery in that town. After King Stephen’s death in 1038, Gerard lived the life of a hermit. Legend has it that in 1046 he was placed in a barrel and thrown off the hill that would later bear his name, into the Danube, by pagan Hungarians rebelling against Christianity. 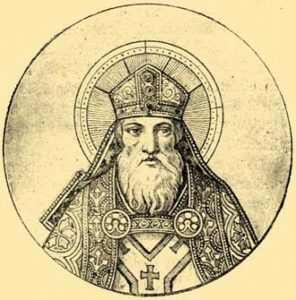 Bishop Gerard was canonised in 1083 along with King Stephen and his son Prince Emeric. 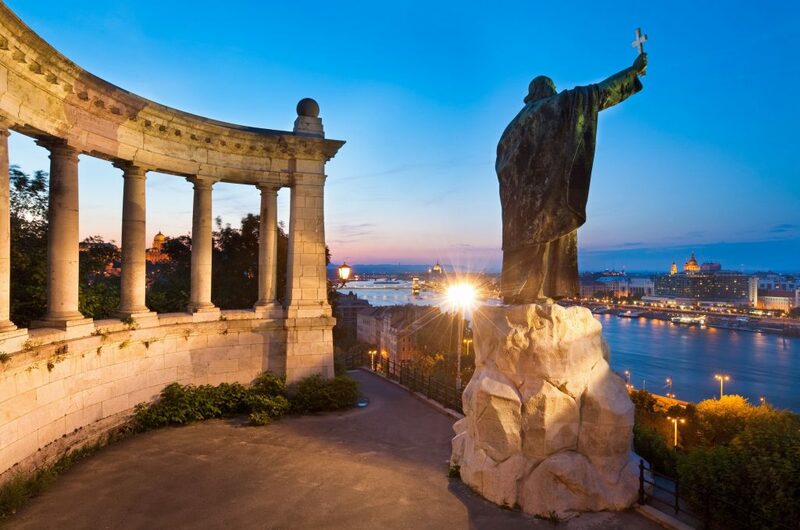 Gellért Hill is among Budapest’s most characteristic landmarks, commanding one of the most beautiful views of the city. The 235 m high hill in the 11th District is a popular destination for day trips, offering an abundance of history and natural treasures to explore and enjoy. Often referred to as the jewel in Budapest’s crown, Gellért Hill and its nature reserve have been a listed World Heritage site since 1987. One of the most famous historical sites on Gellért Hill is the Citadel, which has its origins in the revolution of 1848-49. The fortress was built after the revolution was suppressed, between 1850 and 1854, on the orders of the Austrian general Julius Jacob von Haynau, to keep watch over the city and the rebellious Hungarians. Today it is a tourist attraction. The other significant historical landmark is the Liberty Statue, which commemorates liberation from Nazi rule. The statue was made by Zsigmond Kisfaludy Stróbl. Gellért Hill is home to many protected natural resources. Its geological importance is also outstanding, as the fault lines running the length of its base have led to the formation of numerous hot springs, such as the Mátyás, Rákóczi and Árpád springs. Its protected caves include Saint Ivan’s Cave and its chapel, as well as the caves containing the hot springs that feed the Gellért and Rudas baths. The church in Saint Ivan’s Cave, also known as the Gellért Hill Cave, is one of Budapest’s national shrines. It consists of two parts: the upper, ancient natural cave (Saint Ivan’s Cave and Lourdes Cave), and a lower network of man-made cavities in the rock, located in the interior of the hill. The temperature is 21C° in summer and winter. The chapel of Gellért Hill Cave was established by the only order of monks to be founded in Hungary, the Paulines, in the passages of the natural cavities accessible from the southern foot of the hill. In 1926, it was converted into a church modelled on the one at Lourdes, France, based on the designs of Kálmán Lux. The communist administration, however, disbanded the monastic orders at the end of the 1950s, and sealed off the entrance to the church. In its place, they established a karst water monitoring station, and the monastery was used as a hall of residence by the State Ballet Institute. On 27 August 1989, the church and monastery were reopened. The monastery, where Béla Ferenc’s beautiful wood carvings can be seen, is accessible from the church via Saint Stephen’s Chapel. The church in Gellért Hill Cave is where the Pauline order’s most precious relic, the shin bone of Paul of Thebes, is kept. The church’s altar was made in the Zsolnay porcelain factory in Pécs. Very little is known about the bathing culture of the Magyars who settled here after their long migration. 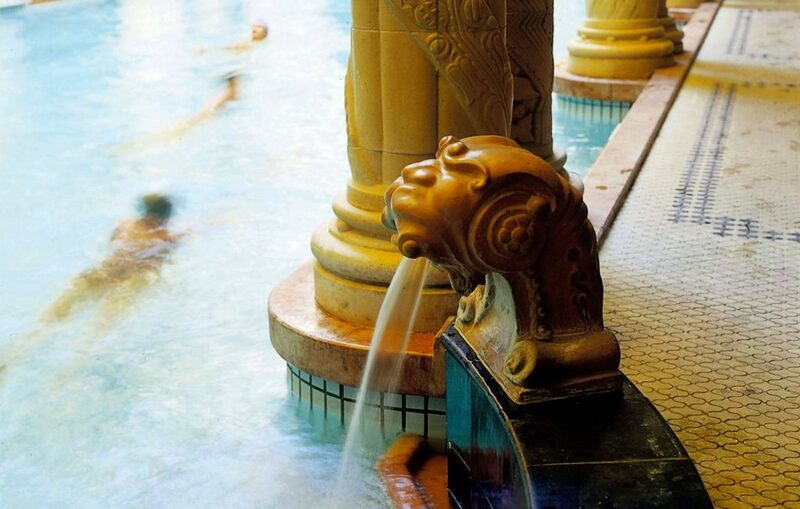 According to some chronicles, the hot springs of Buda were already known about in the age of the Árpád Dynasty. According to data from 1178, the Johannite religious order founded a hospital at the foot of Gellért Hill. The second golden age of Buda’s spa culture was during an otherwise dark time in the country’s history, the 150-year period of Turkish occupation. 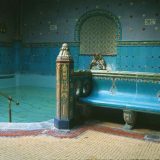 At that time, the Gellért Spa was known as “Acsik ilidzsa”, an open-air hot spring bath. 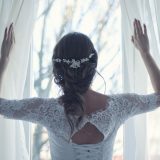 According to other traditions, the Turks referred to this place as Aga’s bathing place, or the baths of virgins. 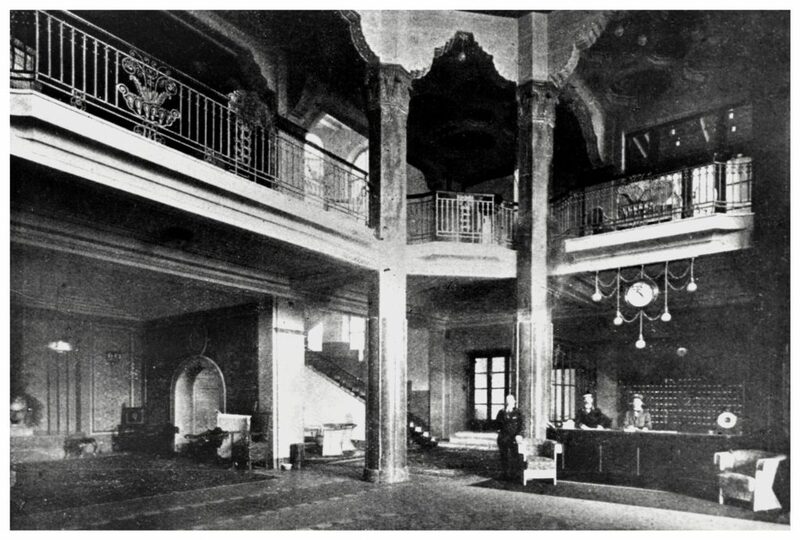 After the period of Turkish rule, the spa changed ownership many times. A German travel guide published in 1827 mentions accommodation facilities at the spa, and in 1832 the construction of the first genuinely large-scale hotel and bathing complex got under way. In the 19th century it was referred to as “Sárosfűrdő” (Muddy Baths), and reportedly was a pleasant spa and hotel building, in good condition. It got its name from the healing mud found here, which surpassed that of all the other baths in Buda both in quantity and purity, but has unfortunately run out since then. In 1894, construction of the Franz Joseph (today Liberty) Bridge commenced, and with it the reconstruction of Gellért Square. 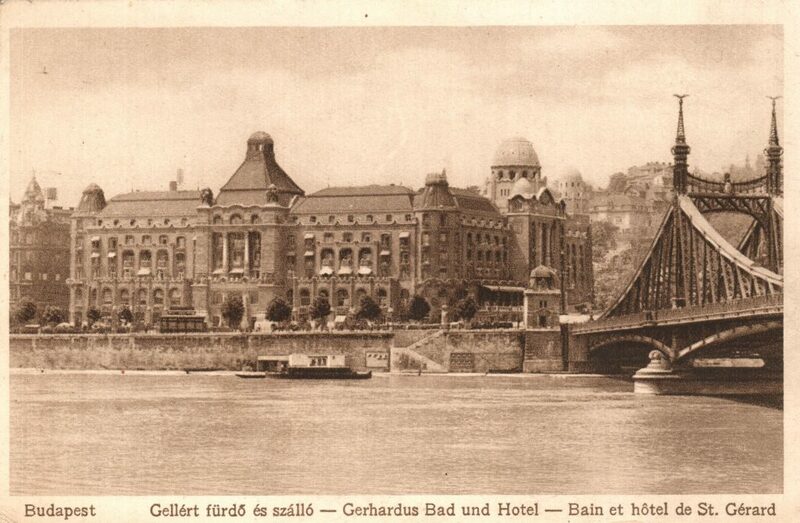 Construction of the Gellért Hotel and Spa began in 1911, but the works were delayed by the First World War. The hotel, built in the elegant, Art Nouveau style typical of the palace hotels of the early twentieth century, opened in September 1918. The venerable hotel, with its decades of history, remains one of Budapest’s most colourful architectural features to this day. The building was designed by Ármin Hegedűs, Artúr Sebestyén and Izidor Sterk, who were all greatly influenced by the works of Ödön Lechner. 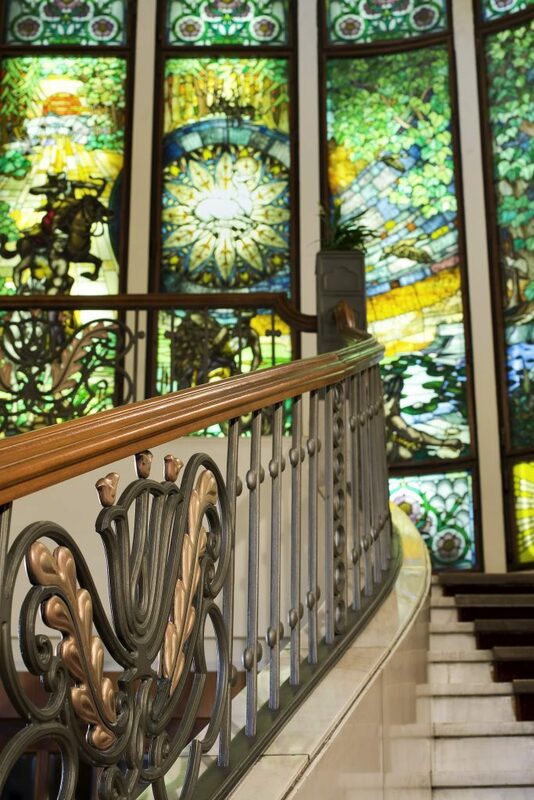 Above the hotel’s characteristic entrance are arrangements of reliefs by Aladár Gárdos, while the Spa’s main entrance is decorated with Jószef Róna’s large scale statues symbolising healing. When it was opened, the four-storey hotel had a total of 176 rooms. The suites had bathrooms with piped mains water, hot spring water and carbonated water on tap. 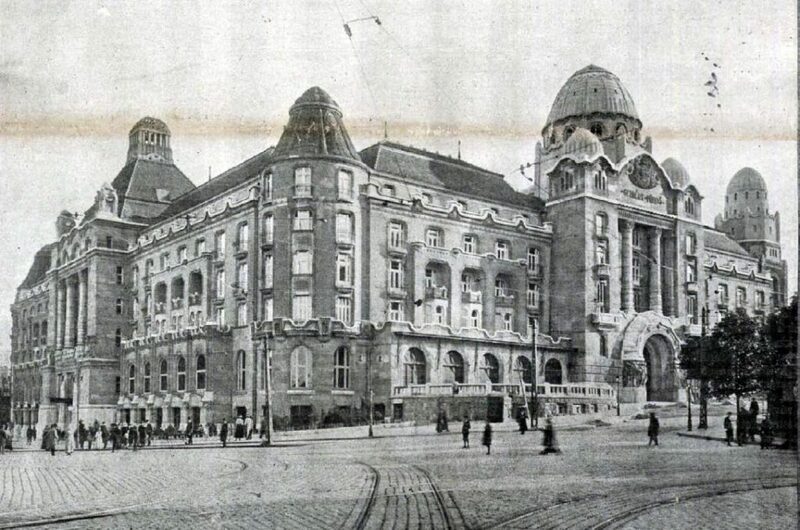 Not long after the Gellért Hotel and Spa (mixed thermal baths) were completed, on 31 October 1918 the Aster Revolution broke out and the hotel was requisitioned for military use until the end of 1919. 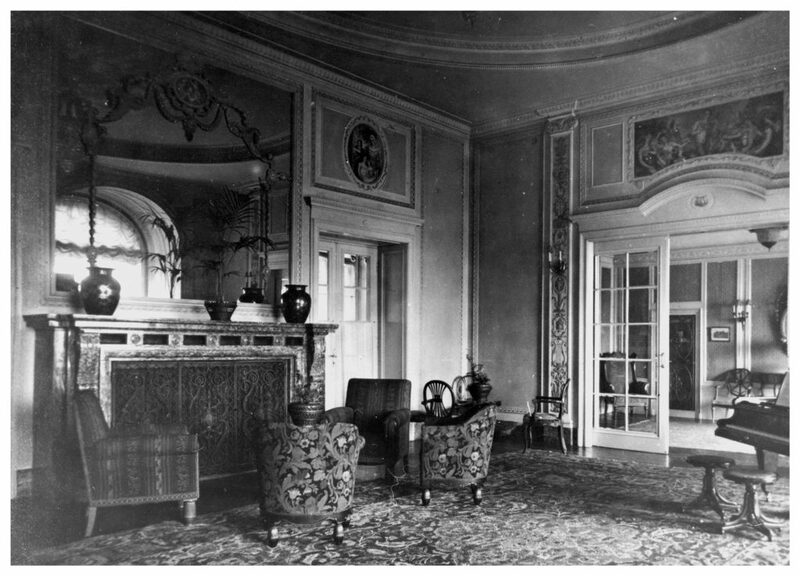 Once the political and social situation returned to normal, the Hotel and Spa regained its original function, and opened its doors to the general public again. Between the wars, with its sumptuous interior spaces, terraces and pools, the hotel soon became a hub of social life in Budapest. 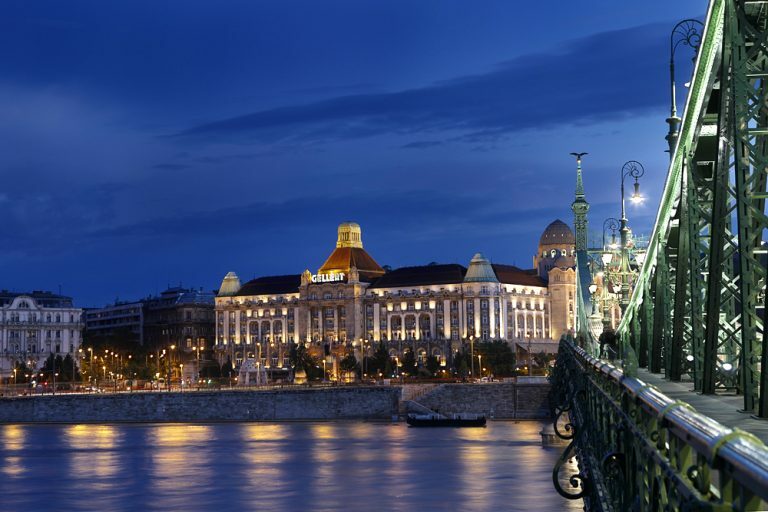 On 1 October 1921, the International Congress of Hoteliers was held in Budapest. The guest book began to fill with the names of global celebrities. Besides the Hungarian ruler and members of successive Hungarian governments, the scions of Europe’s royal families, mayors, maharajahs, artists and millionaires all stayed in the hotel. Queen Juliana of the Netherlands even spent her honeymoon here. 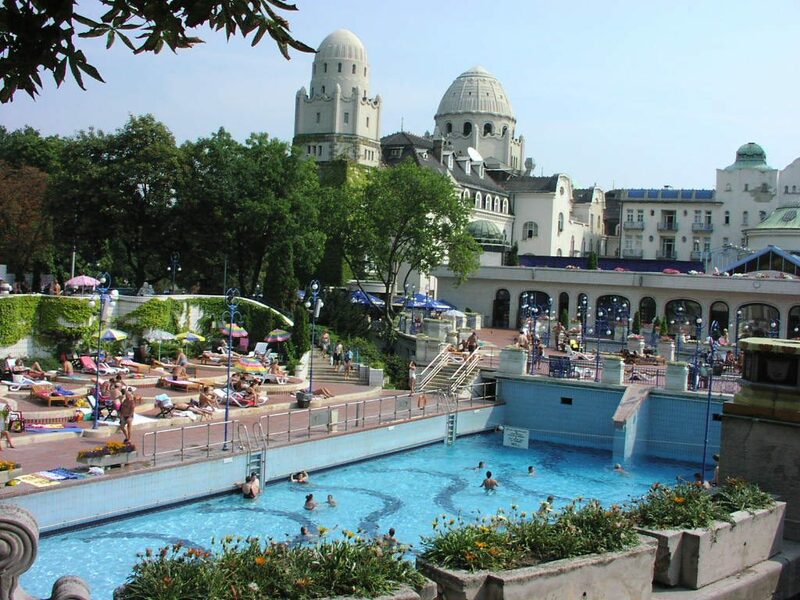 In 1927 the wave pool was built to the designs of Artúr Sebestyén, and 60 new rooms were also completed. To this day the wave pool uses its original machinery to produce pleasant, rolling waves to the delight of the bathers. 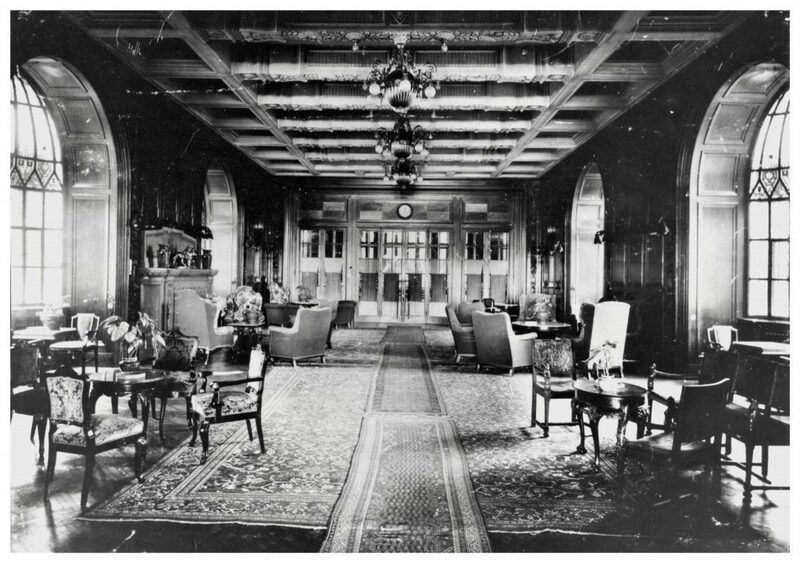 In 1933 work got under way to convert the hotel’s conservatory, and one year later the whirlpool bath was also opened. The hotel’s restaurants were rented out to acclaimed restaurateurs from the city from the very beginning. In 1927 the concession was awarded to Károly Gundel. It was due in no small measure to his work over a period of twenty years that the Gellért Hotel was elevated to the ranks of the world’s grand hotels, and its prestigious events were reported in newspapers all around Europe. It was in the Gellért that Károly Gundel invented three of his most famous dishes: Zander à la Rothermere, Bakony Gomba and Pittsburg Veal Rib. Unfortunately, the Second World War inflicted severe damage on the hotel’s building. The Danube side was completely gutted by fire and the hill-facing side partially damaged. The reconstruction began in 1946 on the side facing the hill, then in 1957 renovation work started on the Danube side as well. The Duna Room, the Márvány Room, the Gobelin Room and the Tea Salon, as well as the Café, gained their present form during their conversion in 1960. The hotel was once again receiving world famous guests, and the list was virtually endless. The virtuoso violinist Yehudi Menuhin was the first famous hotel guest after the war, and enjoyed the Gellért’s hospitality on a number of occasions. Statesmen such as Richard Nixon, the Austrian chancellors Julius Raab and Bruno Kreisky, the Iranian shah Pachlavi and his family, the Dalai Lama, the Vatican Cardinal Secretary of State Agostino Casarolli, Nobel Prize-winning physicist Werner Heisenberg, American medical researcher Albert Sabin, the world-famous actors Kirk Douglas, Antony Quinn, Marina Vlady, Alberto Sordi and Jean Fonda, the cellist Pablo Casals, the violinist Isaac Stern and pianist Arthur Rubinstein, the conductors Carlo Zecchi, Gábor Carelli and Roberto Benzi, the violinists Igor and David Ojsztrah, the operatic tenor Giuseppe Di Stefano, the Soviet film director Grigory Naumovich Chukhray, composer Dmitri Shostakovich, and, more recently, Andrew Lloyd Webber and Hungary’s own Oscar-winning cinematographer Vilmost Zsigmond have all stayed at the Gellért. Until the 1970s, the Gellért Hotel represented the state of the art of Hungarian tourism. 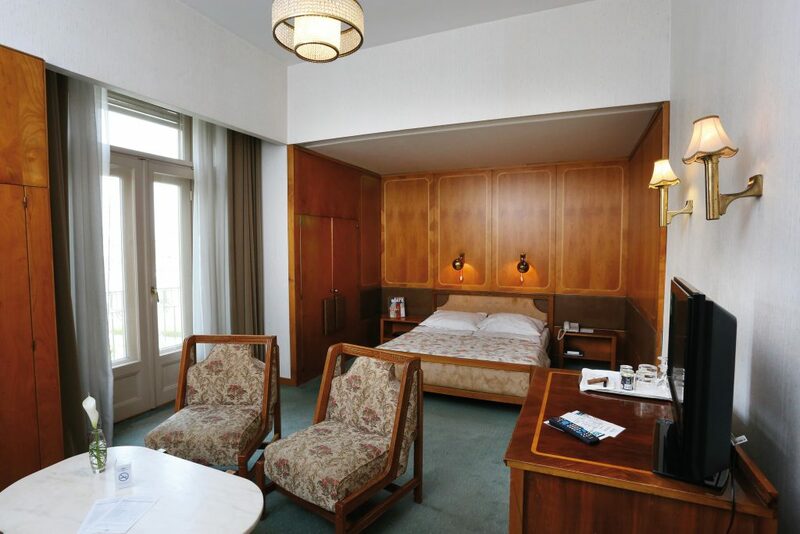 During these decades, the hotel also led the way in the training of professionals, and introduced numerous hotel and restaurant services that were pioneering in post-war Hungary. 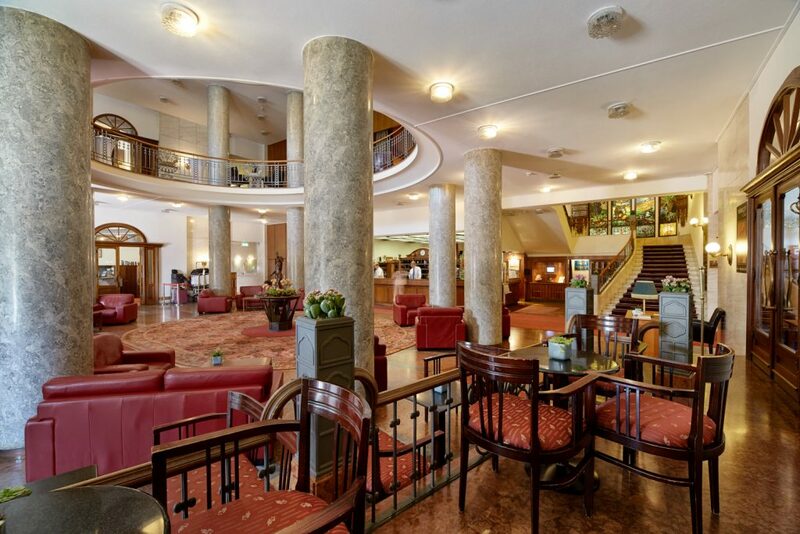 It was in the Gellért that guests were first able to pay in their own national currency, and where the first airport transfer car went into service, and it was also here that the first mini bars were installed in the rooms. The Gellért Hotel Bar and Restaurant was the first to use ‘plate service’ as the means of serving food to customers. The hotel is also famous for two special desserts. One is known as Posztobányi Pudding (Gellért Pudding), and is packed with dried fruits, and the other is the Gellért Roll, which is stuffed with rich chocolate cream. Many have tried to copy the secret recipe of the latter, but you’ll still have to visit the Hotel if you want to sample the real thing! 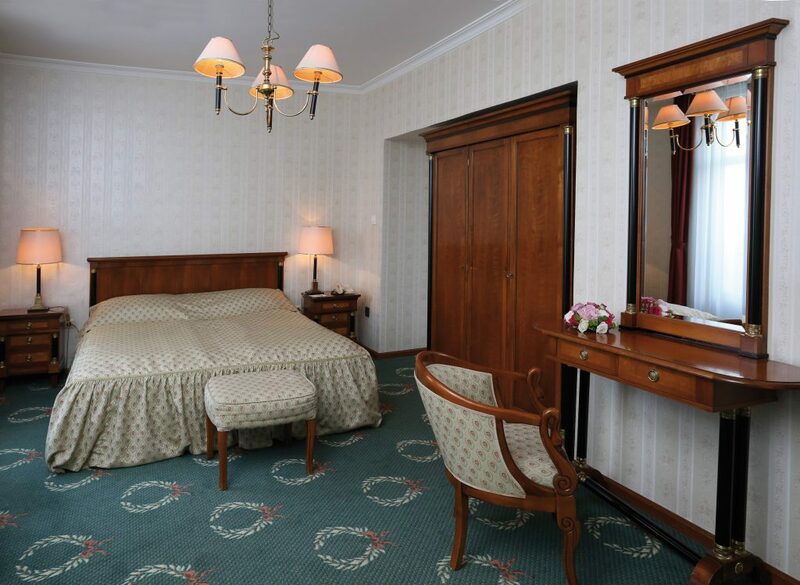 Today’s Gellért Hotel has 234 rooms, of which 13 are suites, 38 superior double rooms, 94 standard double rooms, 49 single rooms with a bath and 40 single rooms with a shower. Some of the rooms are located on the main facade overlooking the Danube, and these have balconies and beautiful views of the river. Today the Hotel and the Spa are operated by two separate companies. The Hotel is owned by Danubius Zrt. The spa, swimming pool and medical facilities are run by Budapest Gyógyfürdői és Hévizei Zrt., which recently completed the reconstruction of the spa, which retains its unparalleled beauty. A thermal water pool has been added to the open-air wave pool and terrace. The Gellért is one of the best thermal baths in Budapest, and one of the most visited by tourists. Striking features include the tiles manufactured by the Zsolnay factory, the ornamental cladding of the pillars in the whirlpool bath, and the colourful Maiolica statues. The Gellért Spa offers virtually the full range of medical spa services (balneotherapy, mechanotherapy, electrotherapy, mud packs), and also has a complex physiotherapy department and inhalatorium. 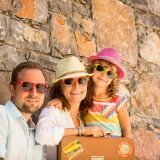 Guests have discounted access to the medicinal thermal spa and covered swimming pool, the open-air wave pool and sun terrace during their stay at the hotel. 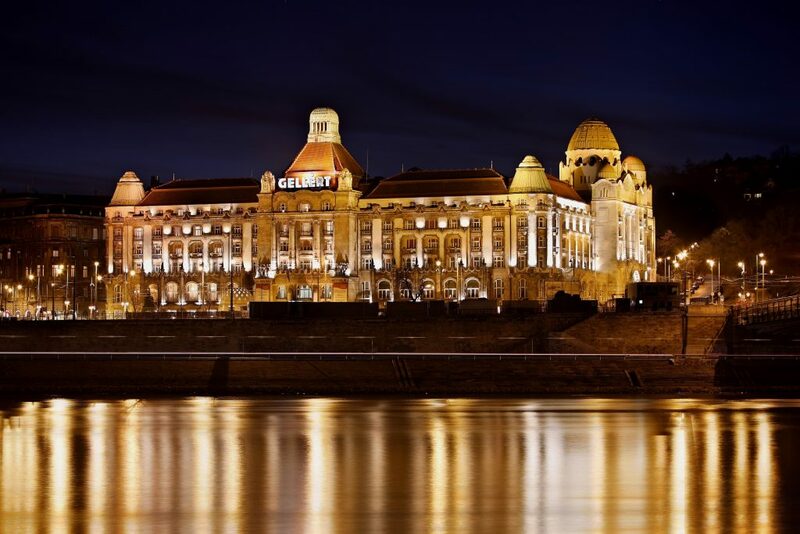 The Hotel Gellért provides its guests with a 50% discount off the price of entry to the Gellért Baths. 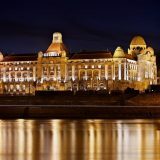 For guests who only want to take advantage of the treatments and massages, however, there’s no need to purchase a daily ticket for the Gellért Baths.